Are you know your age in days?. Here is a site for you. It is very useful to Know your age. 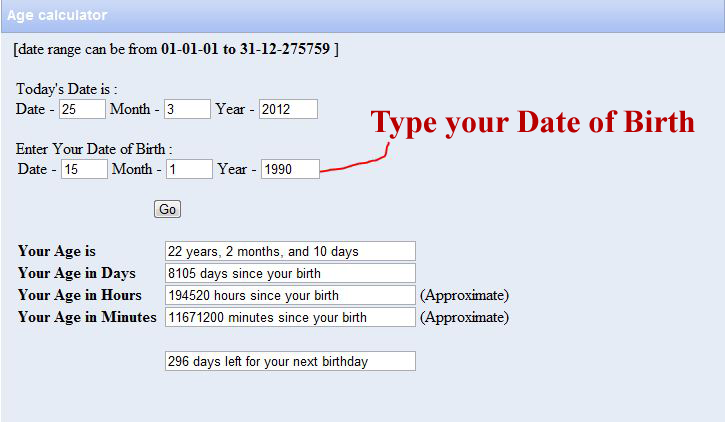 Calculate your age in days, years, minutes, seconds. 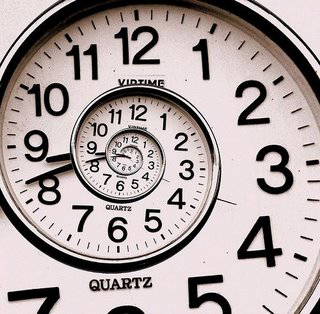 Just know how many days / hours / minutes have been passed since your time of birth. 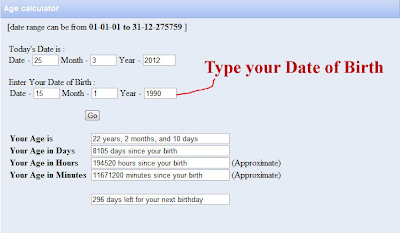 Calculate how many days are left for your next birthday.